67% of B2C companies and 41% of B2B companies have acquired a customer from Facebook. With over 955 million people on Facebook, there are probably some customers waiting for you on there, too. 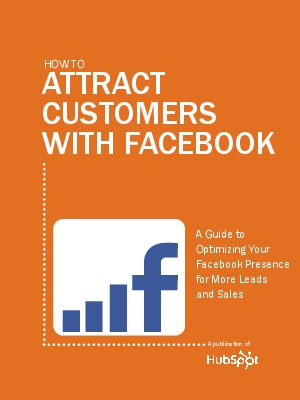 Are you using Facebook as a customer acquisition tool yet? Learn how to increase the ROI of your Facebook efforts and attract leads and customers through your campaigns. This ebook will walk you through the steps of planning, implementing, and measuring a successful organic and paid Facebook strategy.